Need Time Off? How About 10 Years..
with our non-surgical liquid facial contouring. Now is the time to make your wrinkles, smile lines, sagging cheeks a thing of the past. Before, your only option was a traditional facelift to restore the balance of a youthful face. Now, with an array of cosmetic fillers and Botox, a new solution for anti-aging has emerged: Try Our A+ Liquid Lift. Click here for our special pricing. As we age, our face begins to lose collagen which creates sagging facial features. 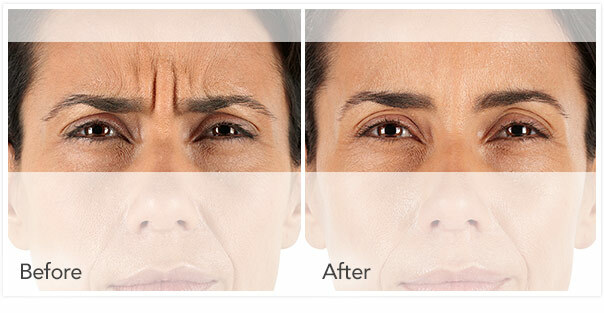 The loss of facial volume and elasticity also leads to the formation of wrinkles, lines and folds. Our goal with the A+ Liquid Face Lift is to contour, enhance and restore the appearance of specific facial features. By using a variety of cosmetic injectables, each has its own unique attributes that work to rejuvenate specific areas of your face. Example : Voluma replaces lost volume in the face and helps the body regenerate its own collagen. Most of the cosmetic filler used are comprised of natural substances produced by your body. 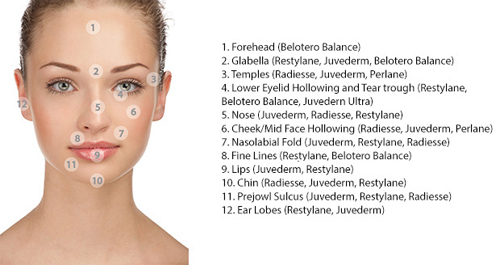 Precisely placed, the cosmetic fillers are used to contour any number of facial features. For more information about our various cosmetic injectables used in the A + Liquid Face Lift procedure, please see the cosmetic section of our web site. A+ Liquid Face Lifts will typically last from one to two years, depending on the products used and the facial area treated. All of our cosmetic injectables are FDA-approved for treatment of at least one area of the face. The end results from our A + Liquid Face Lift can range from subtle to astonishing.There is no downtime with this treatment and it’s a very effective, less invasive alternative than a traditional face lift surgery. Our skilled facial injectors can perform our A+ liquid face lift over your lunch hour. Please call us today for a free consultation. We also want to save you money! Please visit our Brilliant Distinctions page to earn discounts and rewards towards: BOTOX, Juvederm®, Latisse, Voluma, Illuminize Peel, Vitalize Peel and Skin Medica Skin Care Products.